Princess Eugenie was recently criticized for having an expensive wedding to Jack Brooksbank. Jan Moir, a journalist for Daily Mail, slammed the 28-year-old princess and called her a “lowly royal whose hunger for glitz and glamour is the same as her mother” Sarah Ferguson. Moir noted that the price of Princess Eugenie and Jack Brooksbank’s wedding is quite close to Prince Harry and Meghan Markle’s. Both couples tie the knot at St. George’s Chapel in Windsor Castle. Princess Eugenie also announced that she will be inviting 1,200 members of the public to her special day. [post_ads]However, the journalist said that Princess Eugenie isn’t classified as a working royal unlike her cousin Prince Harry. The Duke of Sussex is also sixth in line to the throne, and Princess Eugenie is ninth in the line of succession. Prince Harry is the son of the future king Prince Charles, while Princess Eugenie is the daughter of Prince Andrew. 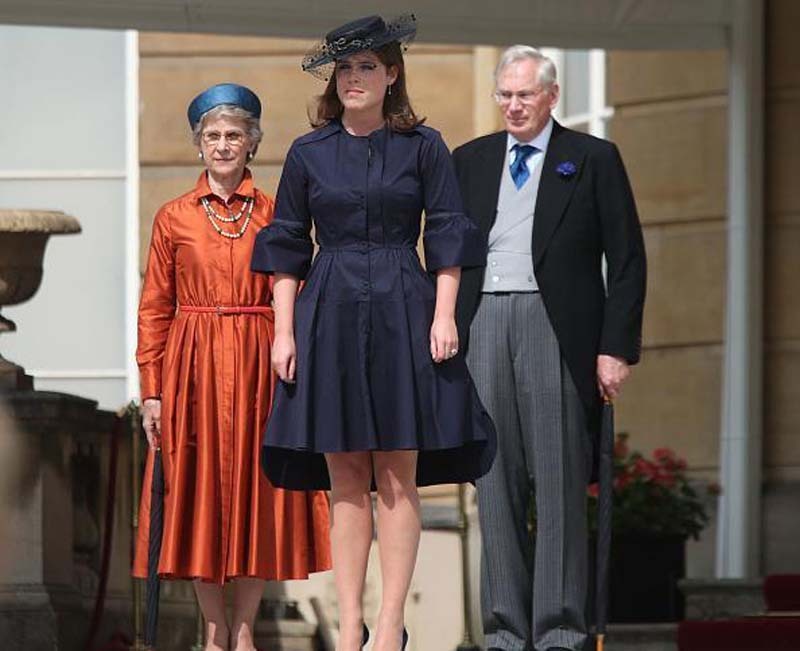 “Who the hell does Princess Eugenie think she is? She’s not exactly a huge star within the royal family firmament, and over the years she has done absolutely nothing to distinguish herself or to encourage public affection. Indeed, she is most famous for her ridiculous fashion faux pas, including an irrational fondness for wearing teapot-shaped skirts, a trait that is hardly likely to get them out cheering on the streets of Berkshire,” he wrote. Moir also called Princess Eugenie’s fiancé an “unknown to the great unwashed.” Brooksbank is a commoner, and he won’t receive a royal title after their wedding. In related news, Moir also claimed that Princess Eugenie has not done anything that is worth noting. “Nothing to startle the horses, admittedly – but nothing to impress the horse either. A little light charity work here. A vague position in the art world there. Anybody need their colored pencils sharpened? She’s your girl. She has a 2.1 degree from Newcastle University, she has a good job at an art gallery and she has never – unlike her mother – caused the royals any embarrassment,” wrote Moir. However, the journalist still thinks that Princess Eugenie’s wedding shouldn’t be as lavish and as hyped as Prince Harry’s nuptials.